Academic oral language will help students become more successful students that are better prepared for 21st-century college & careers. But it won't happen by magic. What I have learned as I have studied academic conversations is that they need to be deliberately planned. Students need to be given more opportunities to speak. Students need to practice speaking in different contexts, about different content for a multitude of purposes. Intentionally planning for academic oral language will not only help your ELL students, it will help all students. Here are some ways to incorporate oral language into content areas. Students use language to solve problems. In math, students can use language to verbalize their problem-solving strategies. 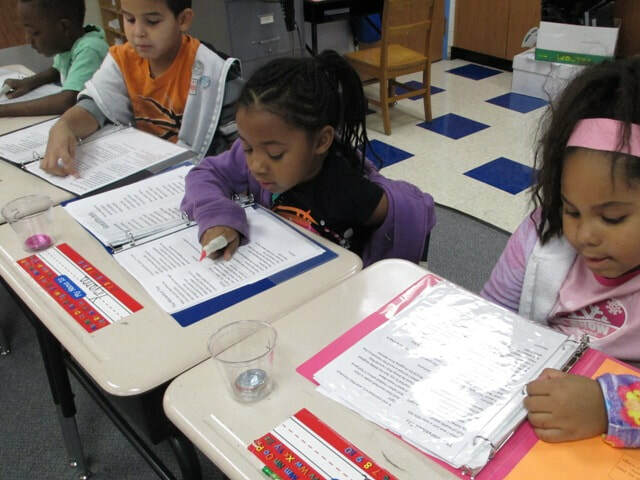 Students can work with a partner to determine steps and strategies. First I want to chunk the problem. ​I think I might make a list. I need to take out the extra information. I think I will use the near-double strategy. Verbalizing their problem solving actually deepens their content knowledge and deepens their thinking. In a third grade classroom, we gave students a fraction question from the end of the unit test from the Bridges curriculum. We created three versions of this question with different numbers. Version #1- No talking, please answer the question. ​Version #2- Please work with a partner. Please read the question carefully and work together to solve all parts of the problem. Version #3- This is a test. Please work on this problem independently. Would partner talk improve the student work? Would the partner talk from version #2 transfer to the independent assessment in version #3? Version #1- She incorrectly said that 1/8 was bigger than 1/4 because you have 7 slices left in 1/8. Version #2- With a partner. The partners got the question correct. The were able to disagree with the statement that "1/4 is bigger than 1/2". Their logic was that if you have to share with 4 people, you get a smaller piece. Version #3- Independent assessment. She carried off the same logic that she used with her partner from version #2. She writes that 1/6 has tiny pie pieces, and in 1/3 the pieces are bigger, so 1/3 is bigger than 1/6. This was not a formal study, just a quick assessment to see if partner-talk would improve math knowledge. Most of the students in this class got Version #1 correct, which means I didn't choose a challenging task. However, like the example above, I did see a progression of language and thinking in most student answers. The district math curriculum, Bridges, also see strength in academic partner talk. Bridges includes sentence frames to go along with the weekly partner games. Students play math games and the sentence frames help students verbalize their thinking to their partner. You can find the Bridges sentence frames for the Work Places partner games on the Bridges website. Below is an example of a 4th grade Work Place sentence frame. Work Places are done in partners. 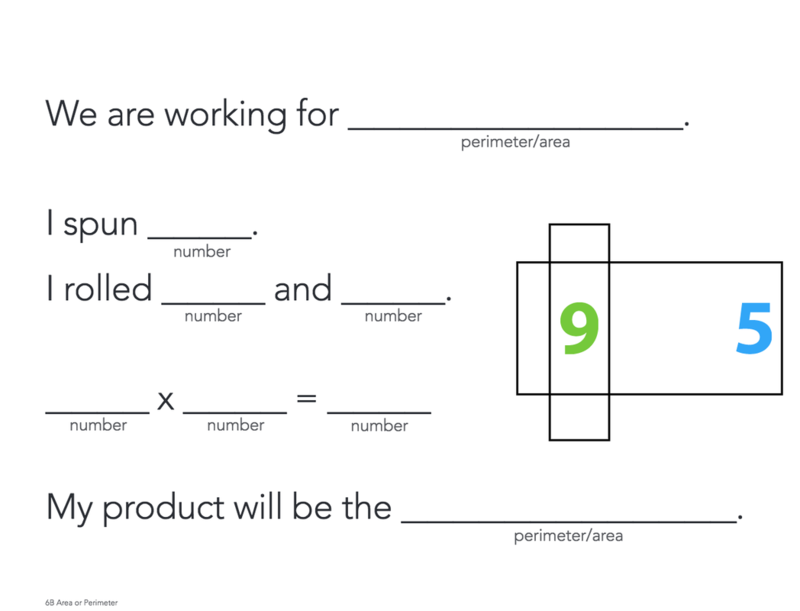 This is very similar to the math talk tasks that appear in the Edutopia video. Could you explain your answer? Was this the most efficient way to solve the problem? This language was occurring without prompting, I couldn't even find sentence stems posted in the room. How were they getting kids to speak like this? The principal informed me that they had agreed upon school-wide sentence stems, kindergarten - fifth grade. The staff determined what they felt were the most important sentence stems and agreed to post and use them. The results were pretty amazing. In the lower grades, you could see teachers prompting students to use the sentence stems. Teachers were reminding students how to build on each other's ideas and to disagree respectfully. By the upper grade, this shared academic language had become a natural way to speak. They were able to have more complex conversations about content due to their ability to communicate. Their language was increasing their learning. After looking at hundreds of sentence stems, we decided that the following would be the school-wide sentence stems that would be posted in every classroom. A teacher could add more, especially as student moved up in grades. Can you explain a little more about __________? As we teach our student how to use these sentence stems and create more opportunities to talk, we should see more complex conversations and in turn, more complex learning. If you can articulate your ideas verbally, your writing will improve. Many of us self-talk as we writing, thinking about the words that we want to put on the page. A scaffold for self-talk is partner talk. "Teaching oracy is instrumental to better reading and, in particular, writing. In developmental terms, humans acquire oral language first -- a prerequisite for literacy. And the cycle of talk before writing is well established as sound pedagogical practice. It would be hard to imagine teaching writing without any form of discussion…” Oli de Botton, Headmaster School 21, Edutopia (September 15, 2016) Oracy: The Literacy of the Spoken Word. What would happen if we created more opportunities for talking before students sat down to write? Even our school district recognizes the importance of talk when it comes to the district writing assessment that occurs for kindergarten through 2nd grade. Instead of handing students a writing prompt and telling the kids to, Write. They read an article and have a class discussion. They watch a video and have a class discussion. The discuss what and how to take notes. The element of the class discussion generates ideas for all students. Students learn new ideas from each other, they build on ideas of their peers and their own knowledge of the content has grown. They are now prepared to take the language that they used during their discussions and put it onto paper. A fun way to spark a conversation that will lead to opinion and persuasive writing is to play Would You Rather? Would you rather be grass grow instead of hair OR have feather grow instead of hair? Would you rather go to school on Saturdays OR go to school until 8 pm Monday-Friday? Assign a side of the room for both answers...all the people who want grass for hair on the left, everyone who wants feathers for hair on the right. Once all students decide which side they are on, they discuss the merits of their decision. As a group, they come up with reasons to support their answer. The two groups share out, trying to convince the teacher or other students why their side is the best. If their arguments are compelling enough student may switch sides. After students have played this game a few time, teachers can start introducing real topics and real world issues. Students can participate in this fun activity and then use the arguments to support their claims in opinion and persuasive writing. If students can't speak fluently...how will they be able to read fluently? This is a major issue for 2nd-grade teachers. In 2nd grade, students take the Dibels Oral Reading Fluency test. This is the major formative assessment for foundational reading skills. These test scores get reported to the district. These scores determine our school wide goals. Our SMART goals are often based on these Dibels scores. Teachers take reading fluency very seriously. 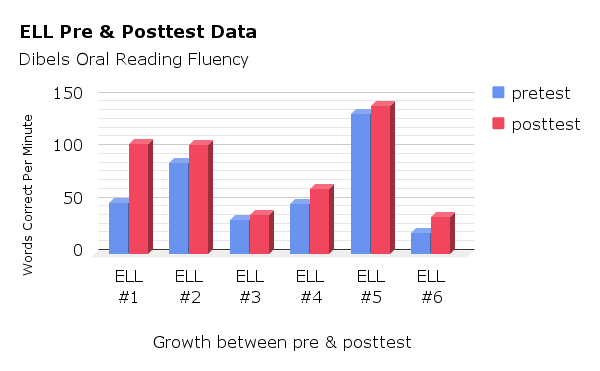 Not only is reading fluency an important data point, it is an important indicator for future reading. Students struggling with reading fluency, end up struggling with reading comprehension in later grades. My action research paper, which you can read here, explored this very topic. Could we increase reading fluency scores by increasing students oral fluency? To test this idea, I first gave a Dibels Oral Reading Fluency baseline assessment. Then for 2 weeks, I introduced tons of academic language. We used sentence stems, talk task, discussion guidelines and lots of think-pair-share. For this 2 week period of time, students were doing a lot of talking. The results were very promising. 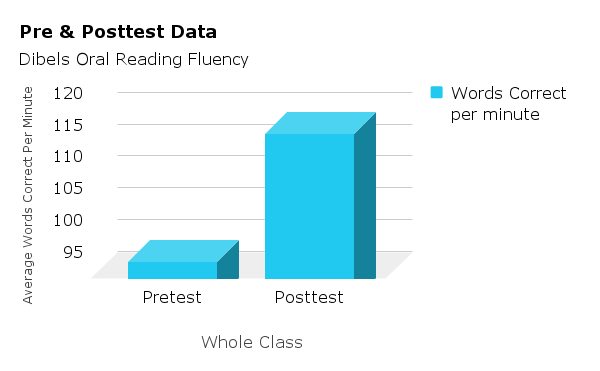 Overall, students increase their reading fluency by 19.4 words per minute. All six EL students also increased in reading fluency. All through the power of talk. Dibels Oral Reading Fluency requires 2nd graders to read 80 words per minute at the beginning of the school year. The benchmark requirement then goes up to 100 words per minute by mid-year and 111 words per minute by the end of the year. The results above are the average score for the whole class. Students average score on the pretest was 96 words per minute. Two weeks later their posttest score was 116. 20 words per minute increase in two weeks...two weeks. That is the increase expected per trimester. Increasing students opportunities to talk allows them to practice using the language. Using sentence stems with academic language allows students to become familiar with the word before being required to read and write them.